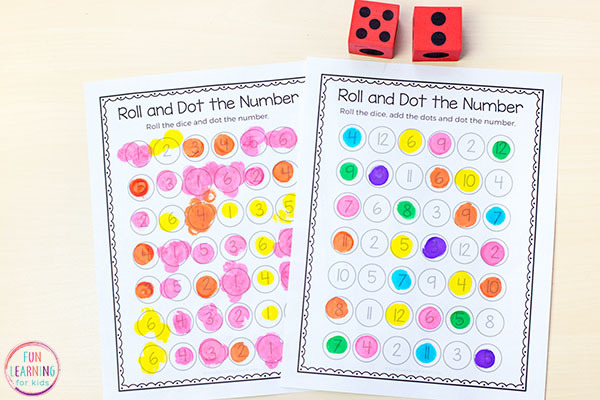 This roll and dot the number activity is a fun way for kids to learn numbers and develop number sense. 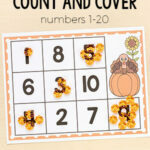 It is perfect for preschool or kindergarten math centers and the free printable makes it easy to use. 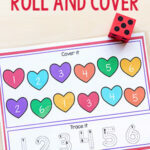 So if you are looking for a fun way to teach math skills, this roll and dot the number activity is perfect for you. 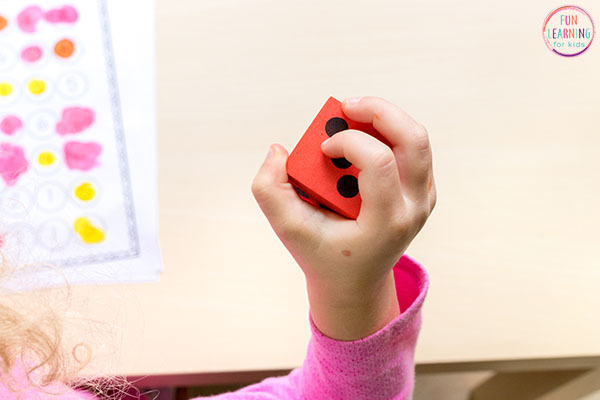 My kids love dot markers, so any activity that gives them a chance to use them is already a hit with them. And since this one also uses dice, it is a definite winner! 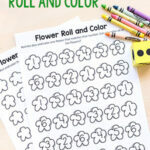 It’s also something that is super easy for kids to do independently, so it’s perfect for math centers. 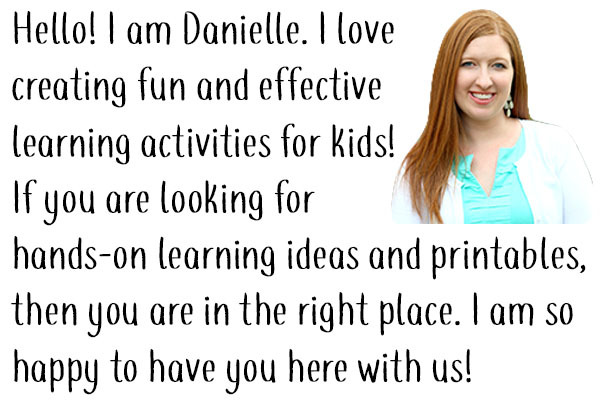 For even more printable activities, check out the free printables page. The child should roll the die. 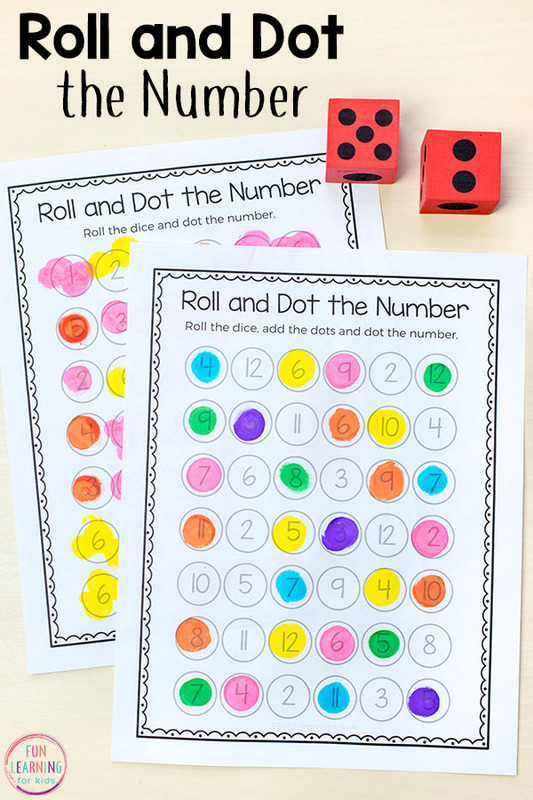 They will then identify the number represented by the dots on the die. They may need to count the dots to identify the number represented. 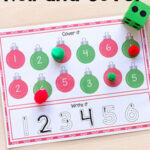 After they know the number they rolled, they should look on the printable game board and find that number. 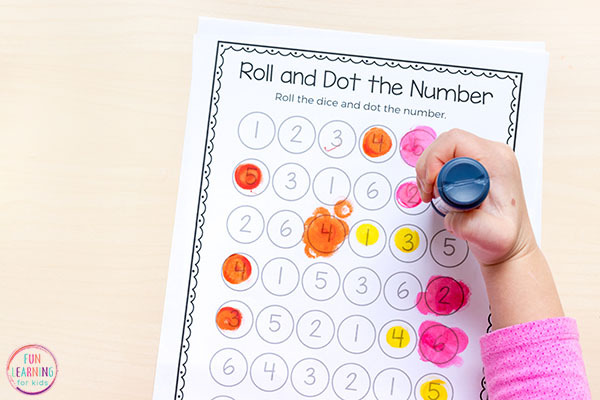 Then they will dot the number with their dot marker or place a dot sticker on the number. These steps continue until all the spots on the game board are full or your child is ready to move on. Another variation on this game is to have two kids play with each other or you can play with your child. 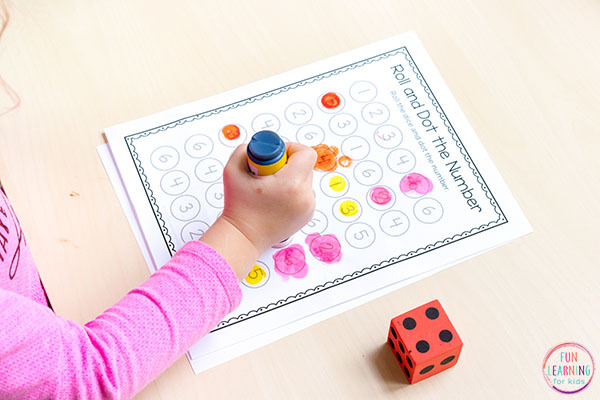 Each child will have a different color do a dot marker and they will take turns rolling the die and marking a number on the game board until all the spots are full. 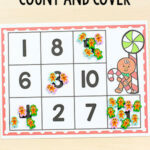 At this point the players can count out how many dots they each marked in total. 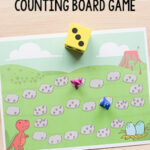 Here are some more math games I think you will enjoy!